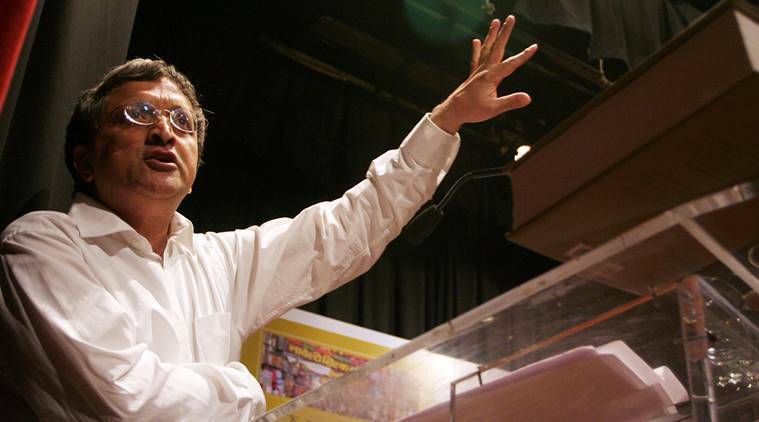 On Friday, Guha put up a picture of himself enjoying beef and wrote, "After a magical morning in Old Goa we had lunch in Panaji, where-since this is a BJP ruled state-I decided to eat beef in celebration." Did Gandhi and Jinnah almost establish a legal partnership? Two days after posting a photo of himself eating beef in Goa, author and eminent historian Ramachandra Guha on Sunday deleted the tweet, saying it was in poor taste. Guha, a vocal critic of the BJP government, also hit out at the “hypocrisy” of the saffron party regarding beef, while saying that he had received threats and phone calls after his post. “I have deleted the photo of my lunch in Goa as it was in poor taste. I do wish however to again highlight the absolute hypocrisy of the BJP in the matter of beef, and to reiterate my own belief that humans must have the right to eat, dress, and fall in love as they choose,” Guha tweeted. Responding to the post, a Twitter user identified as RK Yadav said Guha should be given a befitting reply as he was trying to tease Hindus through his action. “If a Hindu eating beef and publicise it he is stigma on this religion. One Ramchandra Guha is doing so. He is trying to tease whole of Hindus by this dastardly action of such publicity. Should be given a befitting reply,” he tweeted. On Sunday, Guha retweeted the post and said Yadav was a former official of the Research and Analysis Wing. “This threatening tweet below is from a former official of the Research and Analysis Wing. I would like to place it on record, and will do with every subsequent threat received,” the historian said. In another tweet, Guha said a man from Delhi threatened him as well as his wife. “I have received threatening calls from a man calling himself Sanjay from Delhi. He threatened my wife as well as me. This is for the record,” he said. While Guha said he had not filed any formal complaint regarding the threats, he had in fact informed a senior police official about the calls, The Hindu reported. “In the light of Gauri Lankesh murder and long hitlist, I thought I should keep the police informed… The photo was unnecessary, but I stand by my views,” he said.